Prestashop supports multilingual. You can build a store with different languages. And it’s a must-have feature in your site if you are running your business in different countries. 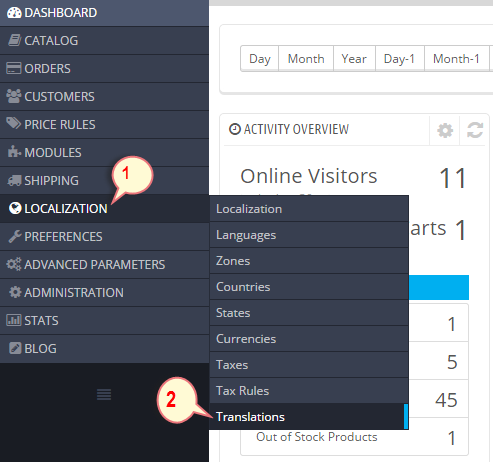 To build a multilingual Prestashop site, you need to know how to translate theme and modules. Here is the 4 steps of how to translate Smartaddons Prestashop theme and module in Prestashop 1.6. In this tutorial, we will translate our SP MegaShop theme from English to French as sample. Login your back-office then navigate to: Location >> Translations. There are 2 ways to install a language in Prestashop 1.6: using Add/update language feature and import and install language manually. 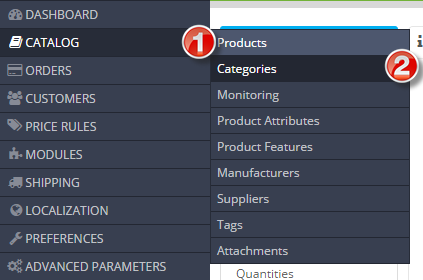 Select language from dropdown list and click button Add or update language. If the language is already installed, you should also run this option so that the language will be updated. Next, in the COPY panel, if it’s the first time you translate, you can copy language from translated theme to the new theme that you want to translate. This can save you a lot of time. You can download language package from http://www.prestashop.com/en/translations. Now, import the download language package in the Import a language pack manually panel. Any theme has front-office and back-office, we will translate one by one. Let’s get started with theme front-office translation. In the MODIFY TRANSLATIONS panel, select type of transaction: Front Offices translation then select theme you want to translate and language to translate to, hit the Modify button to go ahead. In the translation panel, you will see how many missing expressions that you need to translate. Find the expressions to translate, after translation is done, please save the translation. Next, please find the missing expressions to translate, you can also change translation of any expression in the back-office. Now select the modules you want to translate, all possible translated expressions of module will be listed here, just find the expressions then translate theme. 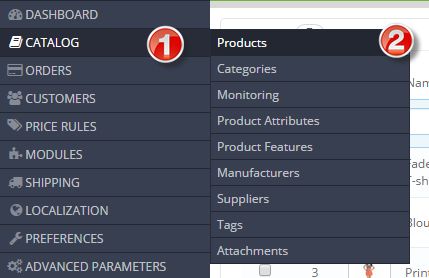 Next, you will see categories and open Categories to translate. Select language to translate Categories to. Next, you will see list of Products, open one by one to translate. Select language to translate Products to.